The Archdiocese of Miami reacted to the devastating fire at the Notre Dame Cathedral. NBC 6's Laura Rodriguez reports. 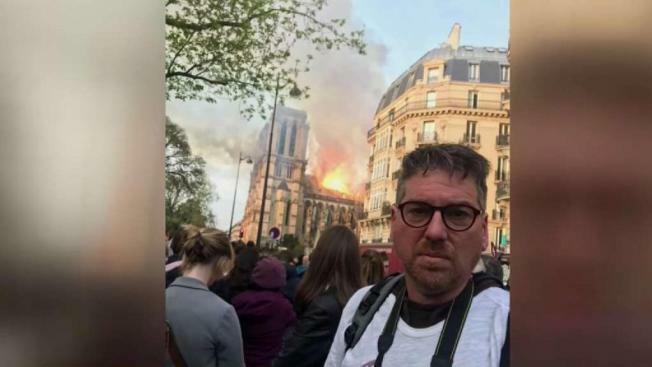 South Florida resident Jason Steinman was hoping to see and take pictures of the famed Notre Dame Cathedral while vacationing in Paris, but instead, he witnessed parts of the landmark engulfed in flames. "It was very intense," Steinman told NBC 6. "It was very sad to see." The massive fire toppled the cathedral's spire and sent thick plumes of smoke into the air on Monday. The house of worship -- with roots dating back to the 12th century -- is considered one of the world's greatest examples of French Gothic architecture. The cathedral has been a symbol of Catholicism and French identity for more than 800 years. Parisians, tourists and the rest of the world looked on in horror and sadness as the fire raged on, causing most of its roof to collapse. "There were gasps," Steinman said. "There was a woman who was in an apartment maybe two floors above where I was standing who just shrieked." At the Cathedral of St. Mary, located an ocean away in Miami, the tragedy in Paris was part of that night's homily. The bells rang for one minute as a show of solidarity with the people of France. 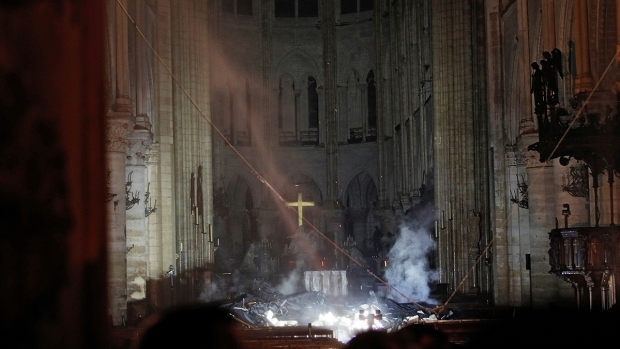 "I think during this Holy Week, we look for Notre Dame to rise from its ashes," said Archbishop Thomas Wenski of the Archdiocese of Miami.